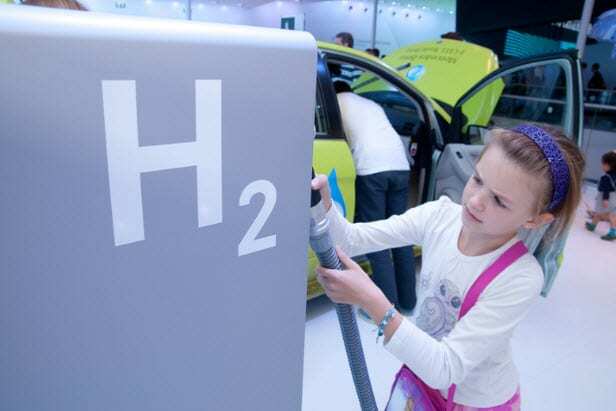 Germany’s hydrogen fuel infrastructure is growing at a steady pace. Several organizations have come together to build new hydrogen stations in the country to prepare for the eventual launch of fuel cell vehicles. These vehicles are equipped with energy systems that consume hydrogen to generate electricity. When compared to conventional batteries, fuel cells are considered to have higher performance and are more efficient. The problem, however, is that lacking infrastructure support has slowed the adoption of fuel cell vehicles. The Linde Group, Daimler, and Total have come together to open the first hydrogen station in the city of Ulm. The new station was launched through the combined efforts of these companies, with aid from the Center for Solar Energy and Hydrogen Research Baden-Wutternberg. The new station is yet another step forward in Germany’s ongoing efforts to create a comprehensive hydrogen fuel infrastructure. Currently, 21 hydrogen stations have been opened to the public, with more planned to begin operation in the near future. Many of these stations have been the result of government programs that seek to promote clean transportation. The National Innovation Program for Hydrogen and Fuel Cell Technology (NIP) has been a strong supporter of the development of a hydrogen fuel infrastructure. The stations currently available in Germany are capable of serving approximately 6 million people in metropolitan areas. Through the program, Linde and Daimler have been able to take advantage of new technologies when development new fueling stations. Investments coming into Germany’s budding hydrogen fuel infrastructure currently represent some $22 million in funding. Many automakers have shown interest in fuel cell technology and launching vehicles equipped with these energy systems. Lacking infrastructure support has limited these plans, however, making it more difficult for these companies to commercialize their new clean vehicles. Building a comprehensive infrastructure has proven to be a slow and expensive task, however, which could hamstring the expansion of clean vehicles and the rise of clean transportation for some time.